Jonny Quest, the classic Hanna-Barbara cartoon that ran from 1964-1965, detailed the adventures of a young boy, his famous scientist father Dr. Benton Quest, their dog Bandit, Jonny’s Indian friend Hadji, and their bodyguard, secret agent Race Bannon. 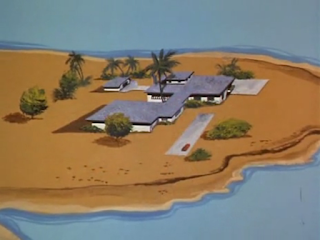 Together, they operated from Palm Key, a secret island base off the East Coast of America. The show’s main influence is generally well-known to have been Jack Armstrong, the All-American Boy. Jack Armstrong was a popular long-running radio show from 1933 to 1951. Jack traveled the world having adventures with his best friend Billy, Billy’s sister Betty, and their Uncle Jim, an industrialist. Jonny Quest was in fact intended to be a Jack Armstrong cartoon, as evident in the test footage used in the show's closing credits. The concept was later scrapped, presumably due to the complications and cost in obtaining the needed copyrights, and Jonny Quest was born. The connection to Jack Armstrong, however, was obvious from the start. I can remember my father making the observation while watching the show together in the late 1960s. Synopsis of 100 Fathoms Under from book cover inside flap. Nevertheless, there is another, more direct, influence on Jonny Quest that receives less attention. 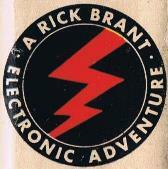 From 1947 to 1968, Grosset & Dunlap published Rick Brant's Electronic Adventures, a series about a young boy, Rick Brant, who uses science and technology to battle his antagonists (a single limited edition volume was also published in 1990). Joining Rick is his father, famous scientist Dr. Hartson Brant; Dismal (or "Diz"), their dog; Chahda, Rick’s Hindu friend from India; and Scotty, his ex-marine pal, and sometimes bodyguard. Together, along with Rick's sister Barby and her best friend Jan, secret agent Steve Ames, and a supporting cast of scientific specialists, they operate from Spindrift Island, their secret base off the East Coast of America. 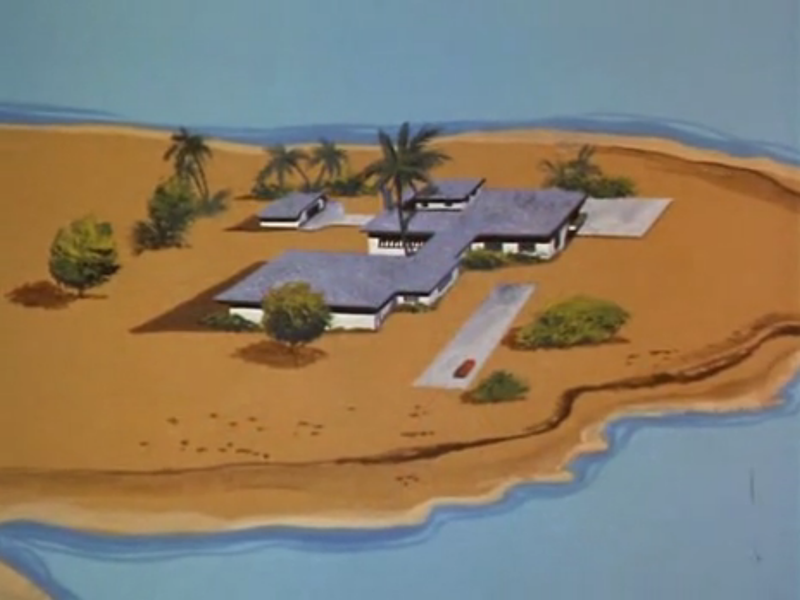 Even more than with Jack Armstrong, here we see all the essential elements of Jonny Quest: an adventurous boy, his scientist father, their dog, his best friend from India, his bodyguard, and an island base. While one could argue that all cartoons about the adventures of a globe-trotting boy will contain certain basic similarities, there are just too many here. If Hanna-Barbara abandoned the Jack Armstrong concept due to potential costly copyrights, why did they settle on an alternative with so many parallels? There is no report about Hanna-Barbara purchasing the rights, or settling with the publishers Grosset & Dunlap. One is left to wonder whether the matter was handled quietly or if Grosset & Dunlap just never pursued it. The Quest Compound on Palm Key. 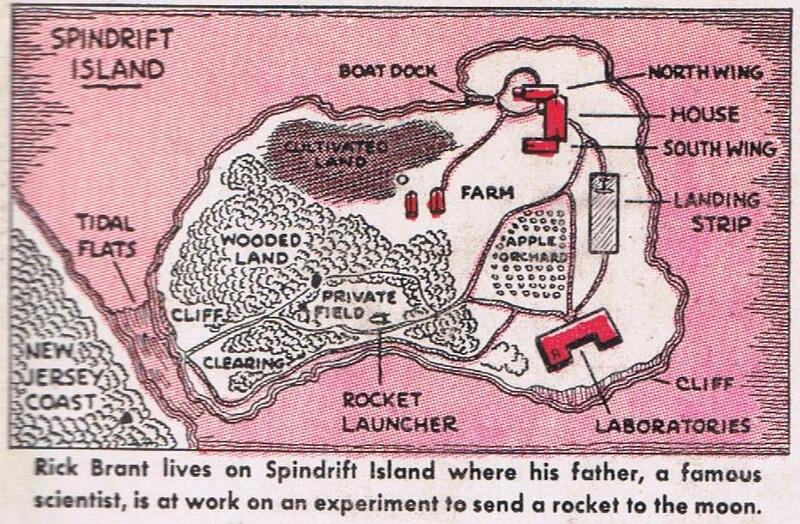 The Brant Compound on Spindrift Island. Comparing images of the islands show some basic similarities with a runway and lab compound. The high-tech “Submobile” used in the fourth Rick Brant adventure, 100 Fathoms Under (1947), looks as though it directly influenced the Quest sea-floor crawler used in the 1965 episode "Pirates From Below." Steve Ames works for "JANIG," the Joint Army-Navy Intelligence Group, while Race Bannon works for "Intelligence One," a CIA-type organization. Other similarities can be found, and there are enough to suggest that at the very least there are some potential copyright violations by Hanna-Barbara that go beyond borrowing and adapting a concept. The Rick Brant adventures were much like the Hardy Boys/Nancy Drew series in that the protagonists were young people, some kind of mystery drove the plot, and action and adventure ensued. 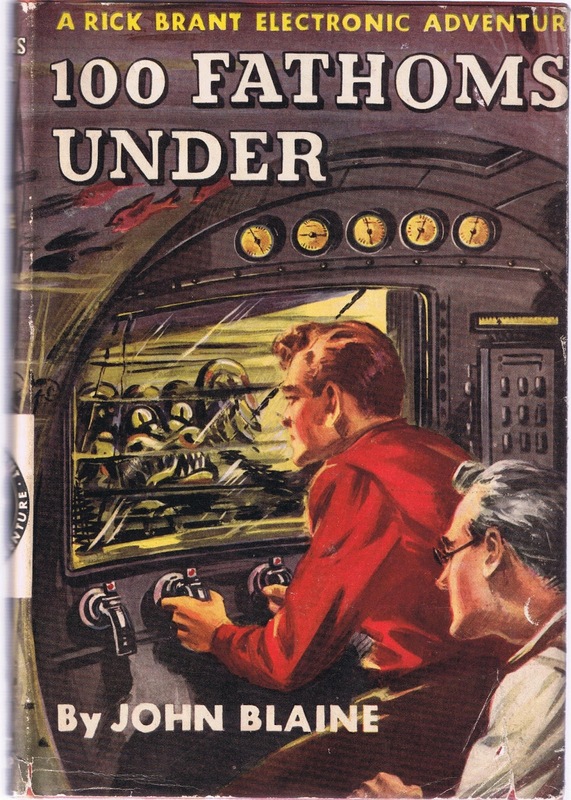 Rick Brant author Harold L. Goodwin, with co-author Peter J. Harkins on the first three novels, created a compelling model that appealed to the post-war faith in science and technology. The Rick Brant adventures also included two teen girls as part of the regular supporting cast. This was unlike the original Jonny Quest series whose only female character was Jezebel Jade, a mercenary who helped the Quests in two episodes, which gave little for young female fans to follow. Admittedly, however, both series have essentially male-centric formats. The truth between the obvious influences of the Rick Brant adventures on Jonny Quest may never be known. Both properties though do provide us with a glimpse at the aspirations of the post-World War II generation. Despite the devastation and horror of the war, the belief in something better prevailed. Science and technology could be used in non-violent ways to advance knowledge, friendships could transcend religion, and even teenagers had something to contribute in making the world a better place. That’s still a pretty good idea.